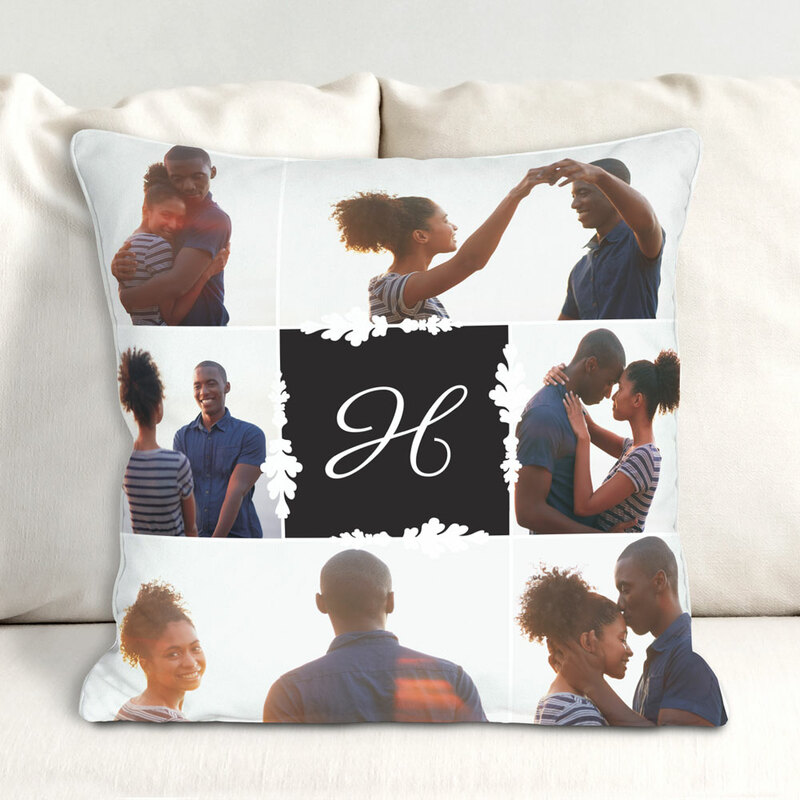 Display some of your favorite photos of family and friends in a creative way when you show them off on our photo throw pillow! 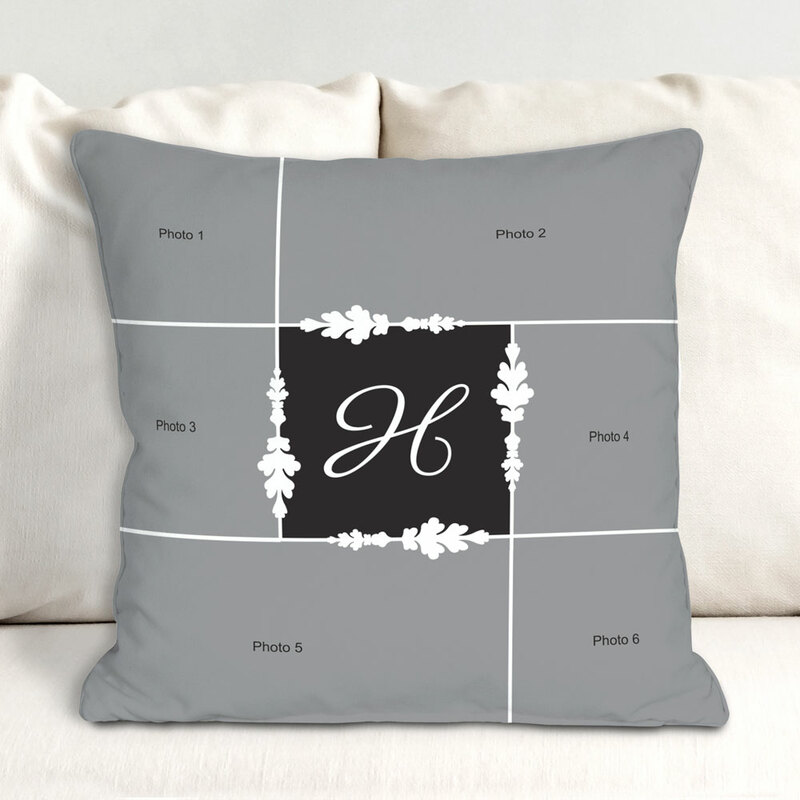 The selection of pretty family pictures combined with the monogrammed initial in the middle makes this a sleek throw pillow that will look fantastic on your favorite chaise or sofa. This would also make a great housewarming gift for your family and friends. Upload your favorite digital photos below. Please don't send any photos in the mail to us, digital photos only. Free personalization of any single initial is included. Very satisfied with the monogram photo pillow came out awesome. This is the forth pillow photo I order for a gift. Received within a week. My family love them.